I have seen very few Canadian-based debt settlement companies who their clients have been essentially been ripped off. 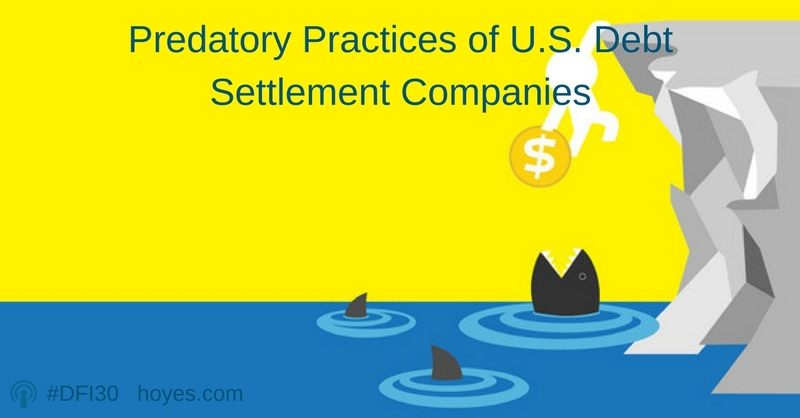 I have seen a ton of U.S.based debt settlement companies who have essentially ripped off their clients. So the issue one is lack of protection, but issue two is just lack of awareness. Debt settlement companies have no requirement at all to inform you of all of your options for dealing with your debts. The easiest way to differentiate a consumer proposal from debt settlement is a consumer proposal is a done deal from the start. So you know exactly what percentage of the debt you’re going to pay back and you know a good starting point is probably 30 cents on the dollar so you agree to pay back 30 cents on the dollar on your debt and you get up to five years to do that and your creditors are refrained from taking any action against you. So no further interest can be charged, no more calls, no more legal action. As we discussed in the show, a debt settlement may be a good option if you have a lump sum of money today, but in most cases a consumer proposal, where you get legal protection and have the ability to pay over a period of time, is usually a better option. As Blair explains in the show, a consumer proposal can help young people who have wages to protect, and can help seniors on pensions in some situations. In the bonus segment we discuss the Limitations Act and old debts, legislation that is similar in British Columbia and Ontario. In simple terms, a standard creditor has two years to commence legal action against you. If they don’t, they do not have the legal right to sue you. This is a complicated area of the law, and there are many conditions. The limitation periods do not apply to some debts, like Canada Revenue Agency or child support. If you are sued you must prove to the court that two years have elapsed (since you last made a payment, for example), so the burden of proof is on you. As Blair Mantin explains, if you have old debts it may not be necessary to file bankruptcy to get legal protection. However, the debts continue to exist and will show up on your credit report, so professional advice is required to fully evaluate your options. Doug Hoyes: Welcome to Debt Free in 30. We’ve got a great show for you today. So let’s get started. I’d like my guest to introduce himself, who are you, where do you work and what do you do? Blair Mantin: Thanks, Doug. So my name is Blair Mantin. I’m a trustee with Sands and Associates based in Vancouver. And Sands and Associates is BC’s largest firm focused exclusively on helping individuals and small businesses solve their financial problems. So we’re licensed trustees, we’re credit counsellors. We’re the folks people should see if they find themselves in a situation when they’ve just got too much debt and they don’t know where to turn. Doug Hoyes: Fantastic. And you originally grew up in Ontario did you? Blair Mantin: Yeah, that’s right so I grew up just outside of Toronto. I went to York University and then after spending a little bit of time travelling the world, I lived in London, lived in Buenos Aires. I have settled in Vancouver and really love it there. It’s a beautiful place. Doug Hoyes: We should do a travel show someday. Doug Hoyes: That’s right but not today. We are recording this in Ottawa, Ontario, the nation’s capitol where we’re both here attending a conference about insolvency so it was a great opportunity for us to get together. We’ve known each other for many years, worked together many times, we talk on the phone all the time but actually being in the same room is kind of cool. I’d like you to give us maybe a quick overview of what the situation is like in British Columbia at the moment in terms of over the last few years have the number of bankruptcies been increasing, been decreasing, what are the things you’re kind of seeing in the market right now? Blair Mantin: Yeah, there’s been in a big ramp up in BC and there’s a number of reasons for it and I’ll explain those as we go along but really since 2009, the number of bankruptcies and proposals has increased and it’s kind of maintained at that level. So it goes up or down a few percent per year but not a real dramatic change so it seems like there’s a new normal where it’s about a thousand people a month in the province of BC area, they’re filing a bankruptcy or doing a consumer proposal. Doug Hoyes: And are you seeing an increasing number of consumer proposals as a percentage? Blair Mantin: Definitely. So in the four years that I’ve been with Sands and Associates, I think we’ve went from about a third of our files being consumer proposals to — and in some of our offices, it’s a majority every month. So the more people become aware of the consumer proposal as an option, the more people tend to opt for it. Doug Hoyes: And is that what it is, is it a case of knowledge, people don’t know that they exist or are there other factors that are driving that? Blair Mantin: Absolutely. It’s a question of knowledge so our whole marketing strategy is one word, it’s awareness. We just want to create awareness of consumer proposals because I meet with people who they just had no idea that this existed and sometimes they break down in tears when they say you’re telling me that I can freeze the debt, no more interest, reduce it by 70 percent and I get up to five years where no one is going to bother me, I just need to make the payments? It’s the answer a lot of people have been looking for but unfortunately sometimes get to us after trying several things that just really didn’t help the problem. Doug Hoyes: Well, we’re going to talk about some of those several things. In Ontario, the situation is very similar. Overall, probably Ontario and British Columbia are very similar in terms of the profile of the people who get into financial trouble and we’re now in a situation in Ontario where we are filing more proposals than we are filing bankruptcies. That certainly wasn’t the case many years ago. But you talked about other alternatives that people end up trying first and then end up coming to see you. So let’s talk about some of those alternatives. One of them I guess is debt settlements which explain to me, and we’re recording this in 2014, so if someone is listening to the podcast three years in the future, then the law might be different but what is the state of the legislation right now in British Columbia? Doug Hoyes: There is none. Blair Maintin: No, it’s an absence and it’s such a conspicuous absence that there is really no consumer protection legislation in BC so we got a lot of US based debt settlement operators that were essentially outlawed in the U.S. because the Federal Trade Commission passed some legislation a few years ago as they set their sights on Canada and we’ve seen other provinces like your home province of Ontario, we’ve seen Atlantic Canada, we’ve seen Alberta put in legislation to protect consumers. BC has done nothing unfortunately. I’ve even met with the government. I’ve presented to the BC Justice Ministry and everyone is aware of the problem but it’s just they haven’t been able to get on the legislative agenda to get the laws passed to fix it. Doug Hoyes: And so who knows what’s going to happen because it’s up in the air right now. So explain to me what your problem is with debt settlement companies because as I understand it and you’re right, we’ve got the same situation in Ontario, there was a new consumer protection law passed in 2014 but it’s not due to officially, the section dealing with debt settlements and some other areas isn’t officially due to come into effect until 2015. We’re not exactly sure on the timing of that. Debt settlement on the surface sound like a really good idea. I owe a bunch of money, and I make a settlement where I pay less than the full amount owing. So I’ve got $10,000-$30,000 in credit cards or whatever, well if I can settle that for 30 cents on the dollar or less why wouldn’t I? What’s the problem? Blair Mantin: Well, the problem is that when you undertake a debt settlement plan you don’t have that ability to make a settlement for probably a year, or two years or three years so what happens is the debt settlement companies kind of steps in the middle and says go silent on all of your debts, don’t pay anybody, we’re going to negotiate with your creditors and the whole time you’re paying them fees. Well, theoretically, you’re supposed to also be saving money to make a settlement offer at sometime in the future. The consumers that I see, and this is everything from 75 year old retirees to 22 year old college graduates, they’ve paid fees for a year or two years and maybe they’ve saved money or maybe they haven’t been able to, but I see them when they’re just not able to get any settlement. So the creditors don’t agree to the settlement or the debt settlement company just decides, well, you haven’t saved enough money so therefore we’re booting you from the program. So for a space of a year or two years, they’ve been investing money and I haven’t seen it be successful. Doug Hoyes: Now, there must be some that are successful or otherwise these guys wouldn’t exist so let me play devil’s advocate here and obviously I’m your side of this argument because I’m not a big fan of the whole debt settlement industry in general, but, obviously they exist for a reason. There must be some cases where that actually does make sense for someone. So you talked about the case where it’s kind of hard to save up for a settlement so you’re envisioning a scenario where I owe a bunch of money and the debt settlement company says okay, we can make a settlement for — again, I’m pulling numbers out of the air, but let’s say 30 cents on a dollar. So you’ve got $20,000 worth of debts, we need $6,000 plus whatever the fees are or whatever. I don’t have $6,000 but in a typical scenario that you see, I have to save up that money so how do I go about doing that? Where am I saving this money? How does it work? Blair Mantin: Right. So essentially you have a blended monthly payment where upfront the majority of that is going to fees and then after the fees are taken, and these can be a few thousand dollars, then the majority of that monthly payment starts to go into a set-aside fund or some form of savings. Again, I don’t see very many, obviously of my clients, because they’re dealing with me, it didn’t work, I see that they get the fees paid and then they’re not able to continue with the payments or the creditors just get tired of waiting and they keep calling the person and keep telling them, you know what, these guys haven’t been in touch, they’re not getting a settlement from us, or they eventually sue them or garnish their wages or assets. I think in a situation where it would make sense is if you’ve got that money sitting around, if you’ve got 30 to 50 percent of your debt and you can offer it cash tomorrow, yeah, probably debt settlement can be a great option and can be done very, very quickly and there are some reputable operators. Unfortunately, the ones that I’ve seen mostly in BC, they’ve been outbound call centers from the US and I don’t use the term lightly but preying on people who didn’t understand they had other options. Doug Hoyes: So your biggest argument isn’t necessarily with the potentially reputable Canadian companies, you’re much more offended and you see much more damage done by the American companies that aren’t really even located here. They’re all doing it totally over the phone. You can’t even come in and meet with someone which makes it kind of hard to understand who you’re even dealing with I guess. Blair Mantin: Yeah, that’s exactly it. So I’ve seen very few Canadian-based debt settlement companies who their clients have been essentially been ripped off. I’ve seen a ton of U.S.-based debt settlement companies who have essentially ripped off their clients. Doug Hoyes: Well, and that’s why on this show we like to present all the options. We don’t want to say debt settlements are always wrong. You should never consider them because you just painted a picture of where it may actually make sense. If I’ve got some debts that have been around for a while, I’ve now accumulated some money maybe, I got a severance payment from work, maybe my mother is willing to give me the money, whatever. Okay, then rather than me trying to make deals with three or four different people and make sure the paperwork is all right, a debt settlement may be a possible option for the person. Your bigger problem though is when I’m setting aside the money over a longer period of time because things can happen in that intervening period. Have you actually seen cases where creditors have taken people to court and sue them? Blair Mantin: Oh definitely. Yeah, and sometimes that’s the wake up call that causes the person to look a bit more broadly at what are the options so the two big issues that I have, one is that there is no legal protection so yeah, I’ve seen a lady who thought she was doing very well with debt settlement and then was served with litigation papers that creditors were suing her and were essentially were going to register on title to her house. So she came in and we were able to stop it before they registered but often it’s the creditors that really get in touch with the person and say you’re not perhaps not following the best option for you in this situation. So the issue one is lack of protection, but issue two is just lack of awareness. Debt Settlement Company has no requirement at all to inform you of all of your options for dealing with your debts. So if you think it’s either pay it all in full or, I can pay 30 percent, it’s a debt settlement over time and I’m not going to get sued, well, if those are your only two options and you can’t afford to pay it in full, well, that sounds good but once you research all of your other options and essentially consumer proposal for most of the folks that I’ve seen, this is what they wanted all along, this is what they really needed and they just weren’t aware of it. Doug Hoyes: Maybe we can talk about some specific examples of consumer proposals then that work. We’re going to take a quick break and then we’ll be right back on Debt Free in 30. Welcome back to Debt Free in 30. My name is Doug Hoyes. I’m here with my guest today, Blair Mantin who is a trustee I bankruptcy and consumer proposal administer from the beautiful province of British Columbia. He’s with a company called Sands and Associates. If you want links to anything we’re talking about, want to find out more about Blair or about Sands, you can go to our website Hoyes.com and if you just click on the podcast link or go to the blog, you can find the show notes for this episode. Blair, what’s the website for your company? Doug Hoyes: Wehelpwithdebt.com. It’s all one word? Blair Mantin: Yeah. It’s easy to remember and it says what we do. Doug Hoyes: Okay. Perfect. So we were talking in the last segment about debt settlements which are a good option for a very limited number of people. Not so great an option for others. And you said that in a lot of cases, a consumer proposal is a better option. So now a consumer proposal sounds to me very similar to a debt settlement because because, every month I’ve gotta put some money into the process. Obviously it’s not similar. That’s really where the similarities end so give me a quick overview, give me the 10 second overview of what a consumer proposal is. Blair Mantin: Sure. So these easiest way to differentiate it from debt settlement is a consumer proposal is a done deal from the start. So you know exactly what percentage of the debt you’re going to pay back and you know a good starting point is probably 30 cents on the dollar so you agree to pay back 30 cents on the dollar on your debt and you get up to five years to do that and your creditors are refrained from taking any action against you. So no further interest can be charged, no more calls, no more legal action. Nothing against you. So right from the start, you’ve got the deal and you’ve got the protection which contrasts against debt settlement where it’s all done based on faith that at the end when you’ve got this money, we’re going to make the offers and the offers are going to be accepted. Another big different as well is we can deal with income tax debt, we can deal with student loans as long as you’ve been out of school for five to seven years or more, debt settlement can’t deal with any sort of government debt. So it’s an all inclusive way to solve your financial issues. Doug Hoyes: And when you say it’s done up front, the process is the proposal is filed so the person who has the debt works with you, you figure out what’s going to make sense, what can they afford, what are the creditors likely to accept. You send the proposal out and they have 45 days to say yes or not to it. If the majority has said yes based on dollar value, that’s what you’re talking about, it’s a done deal at that point. No one is changing their mind later. So give me some tangible examples here. So paint me a picture of somebody that you have helped and obviously I don’t want you using a completely real example with real names and real amounts and everything but give a composite perhaps of a — because you deal with people of all ages, right? Doug Hoyes: Young, old, whatever so why don’t we start with somebody who is perhaps younger, maybe I don’t know, do you deal with a lot of married couples? Doug Hoyes: So give me a scenario where a consumer proposal would make sense for someone like that. Blair Mantin: Sure. So let’s start at the young end of the spectrum. So I meet a lot of people who are pretty early on in their career and they might have some student loans but their big issue is that they’ve accumulated a lot of debt, perhaps and by their own admission sometimes by being a little irresponsible, not understanding how credit works, getting that first credit card that’s offered to them on campus and then accepting all the credit limit increases that go. So a couple that I met with within the last month, these have been gentlemen who were working in the financial industry in Vancouver and they couldn’t be bankrupt. They could not basically satisfy their regulatory requirements if they filed a bankruptcy but they had about $30,000 of credit card debt and every month so much of their take home income, because we’re earning around $3,000 a month, so much of that was going to the interest payments and when they looked at the statement and saw well, it’s still going to take 50 years or 70 years depending on the card to get out of debt, they just realized we’re just treading water at this point. So they did consumer proposals with us, the proposals were accepted and I think they’re just a both just a few months in now to making payments, full legal protection, no need to file for bankruptcy. Doug Hoyes: And it doesn’t have a huge negative impact on their job obviously because they didn’t go bankrupt. Blair Mantin: Yeah, the big question, will my employer even know and as long as there is not a wage garnish, no, I’ve got no reason to notify your employer at all. Doug Hoyes: Yeah, unless they for some reason are doing credit checks on you every week which would be highly unusual for an employer to be doing. So what about at the other end of the spectrum then, are you seeing more and more people who are older or either approaching retirement, already retired, what kind of scenarios do you see there? 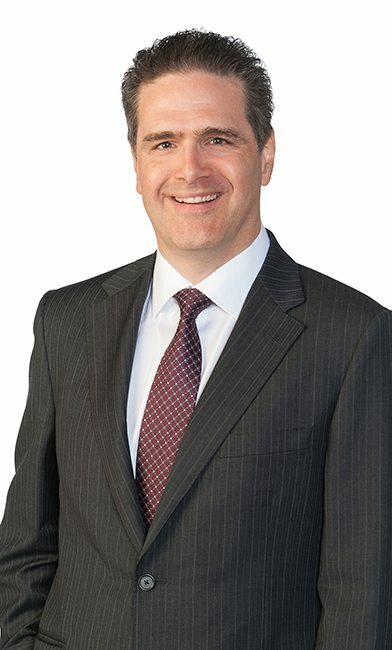 Blair Mantin: Yeah, definitely one of the fastest growing segments for our firm and I think it’s consistent across the country is the senior citizen demographic. So it’s folks that have finished their working life with some debt and they’ve continued to accumulate that debt over time. So some people I see, you know, they’re just on the cusp of 65 where they’re going to get full CPP and OAS and until they start to get that sort of an income, they’re making do on less than a $1,000 a month and they’ve used credit to fill in that gap. So I’ve seen a lot of folks in that type of example where there just hasn’t been enough income and until they hit 65, they continue to accumulate debt and even with CPP and OAS, it’s not going to be enough to chip away at that debt over time. So often times that client is going to opt for bankruptcy because typically they’re low income and they’re not able to pay much more than just what a minimum fee bankruptcy would cost which is usually about $200 a month over a period of nine months but the odd time the consumer really wants to do a proposal, the age range is pretty dramatic. It’s probably from 18 to 90 in terms of people that have done proposals but definitely for senior citizens it’s more bankruptcy is an option. Doug Hoyes: Yeah, and I guess if you’re retired but you’ve got a significant pension, perhaps you worked for a company that had a full pension plan, maybe you were a government employee and worked for a big company, than you still have significant income coming in just not enough to be servicing all the debts so you don’t want to do a bankruptcy with the negative implications for that so in those cases, a consumer proposal does work as well then. Blair Mantin: Exactly. And it’s also a consumer proposal. Generally and I try to counsel people to this, it’s something you don’t have to feel ashamed about. It’s not the easy way out. You’re offering your creditors more than they would get if you filed for a bankruptcy so sometimes that takes a little while to sink in but I do see, especially of my senior citizen clients that are proud that they’re doing a proposal, they’re paying back what they can afford to pay back and they feel ethically that’s the right way to do it. Doug Hoyes: And that’s the peace of mind. That’s fantastic. I really appreciate you being here with us today, Blair, and thanks for your comments. Blair Mantin: My pleasure. Thank you. Doug Hoyes: Thank you. We’ll be right back to wrap it up. Doug Hoyes: Welcome back. It’s time for the 30-second recap of what we discussed today. My guest today was Blair Mantin. A trustee with Sands and Associates, the largest personal and solvency firm in British Columbia, who told me that his goal is to create awareness of debt management options including consumer proposals which are gaining popularity in both British Columbia and Ontario. We discussed the debt settlement industry, that’s strong in B.C., due in part to a lack of laws regulating them. Blair explained why the unregulated debt settlement companies cause problems for consumers because in many cases, they don’t actually deal with their debts. That’s the 30-second recap of what we discussed today. So what’s my take on debt settlement companies? I agree with Blair’s comments; you have to be careful with debt settlement companies. As I said in the show, as I record this in late 2014, I expect the rules regulating debt settlement companies in Ontario to be tightened up considerably but as of now, I don’t know the exact timing so check back on our website at Hoyes.com for further updates. As Blair said, debt settlement companies generally only talk to your creditors at the end of the process, not the beginning. There is no standard for how a debt settlement works but here’s the basic idea. You’ve got some debts that you can’t pay so you go to a debt settlement company and they say no problem, we’ll take care of it for you. Here’s the plan. Put aside $500 a month and when you have enough cash saved up, we’ll talk to the credit card companies or the banks and we’ll make a deal. They’ll tell you in many cases they can make a deal for 30 cents on the dollar or less, that sounds great but does it work? Yes, I will admit that in some cases, it does work. The problem is that in most cases, it doesn’t. Let’s think about it. Let’s say you owe $10,000 on a credit card and you want to settle it for 30 cents on the dollar, that’s $3,000 so before you can make a settlement, you need $3,000. If you’re going to save it up at the rate of $500 a month, it will take six months for you to get the money, but wait, the debt settlement company guys don’t work for free. They want to get paid and their fee could easily be $1,500 or more so that’s another three months of savings. So for eight months, you stop paying the credit card and save $500 each month. So here’s a question for you. What do you think the chances are that your credit card lender is going to leave you alone if you’re not making payments for eight months? Do you think the bank will stop phoning you and stop sending letters and just leave you alone? No, it’s more likely that after a few months, the bank will take you to court, sue you and try to garnishee your wages. Banks don’t generally just sit around and do nothing if they aren’t getting paid. And that’s the problem with debt settlement. In most cases, you need a lump sum of money to make it work and if it’s going to take you many months to save up the money, you’ll probably run out of time before you can make a settlement. Of course it’s worse than that because if you pay a fee to the debt settlement company up front and they don’t solve your problem, you’re actually worse off. My company, Hoyes Michalos, is licensed to do consumer proposals and it’s very common for us to be able to negotiate a settlement of around 30 cents on the dollar. Sometimes higher, sometimes lower. As Blair said on the show, with a consumer proposal, it’s a done deal from the start. The people you owe money to have 45 days to vote on your proposal so in most cases in 45 days, you know the exact deal. You don’t have to worry about paying big fees for many months without knowing whether or not you have a deal. That’s why in virtually all cases, a consumer proposal which is a legally binding deal, legislated by the federal government and approved by the courts, is better than the much less certain debt settlement process. That’s our show for today. Full show notes and show links to what we discussed today are available on our website at Hoyes.com. Thanks for listening. Until next week, I’m Doug Hoyes. That was Debt Free in 30. Thanks for listening to the radio broadcast segment of Debt Free in 30 where every week your host, Doug Hoyes, talks to experts about debt, money and personal finance. Please stay tuned for the podcast only bonus content starting now on Debt Free in 30. Doug Hoyes: Welcome back to Debt Free in 30. This is the bonus segment. We often run out of time on our radio broadcast which has a limited time period so for our podcast listeners only, well, we like to throw in a bit more content and I’m sitting here talking to Blair Mantin. And there were a few other things he wanted to chat about. One of them being limitations periods. So what is that, why is it important and why should anyone care? Blair Mantin: Well, I think it’s probably one thing that is so unknown but for many people, it’s the right answer. Essentially a limitation period is the period of time under which if you stop paying your debt, essentially your creditors have to take action within a certain period of time or they lose the right to take action. And take action means taking you to court, having a payment hearing and then getting the right to seize your assets or your income. So most people first off don’t know if there’s any limitation period. They think if you owe money, you owe it for the rest of your life and that’s that. That’s only true with government debts. So yeah, income taxes, you can’t wait it out or student loans, very difficult to wait it out; however, for private debts there is a limitation period and it changes province to province, and in the province of B.C. there was a massive change just over a year ago that actually nobody knows about. Doug Hoyes: So explain to me what the old rules were in B.C. and what the new rules are now. Blair Mantin: So previously in B.C., if you owed somebody money, you weren’t able to pay it, they had six years to decide whether to take action against you or not so six years is a long time. It’s a long time to wait out, a lot of things can happen in six years. So for many people, the idea of getting protection from waiting for the limitation period to expire just wasn’t an option. Doug Hoyes: And the rules now are? Blair Mantin: The rules now, two years. Blair Mantin: Huge, huge difference. It’s important to know when the clock starts ticking and it’s from when you make your last payment or sign a written authorization that basically you agree that you owe this money. So when you’re dealing with somebody on the phone and they’re saying just make a good faith payment of $25 or $50, what you may not understand is that you’re resetting that limitations period every time you do that and it could be as short as two years. I believe Ontario has been two years for quite some time now. Doug Hoyes: Yeah, Ontario is also a two year period, like you say for what we call general debts. So you’re right. If you owe money on income taxes, you overpaid child tax credits or something like that, sorry, that doesn’t count. Government debts are not included in that. If you have debts for things like support obligation, child support, alimony, nope, that’s not included either. But if it was a normal type of debt, a credit card, a bank loan, Payday Loan, something like that, it’s a two-year period in Ontario as well. And you’re right, it’s two years from in essence the date of the last activity. So the last date you made a payment for example. So why does that matter then? Blair Mantin: Well, it really matters in that if you’re a person where you just can’t afford to pay anything on your debt, you can’t afford to do a proposal, even the cost of a bankruptcy is prohibitive for you, you may think that you’re in legal limbo for the rest of your life, you’re not. If your judgement proof is what it’s called, if you’re judgement proof, even if your creditors sued you, they couldn’t enforce it but you’re not looking at the rest of your life looking over your shoulder. You’re looking at two years limitations period and then essentially you can move on and not worry about these debts. So it doesn’t make sense if you’re somebody who earns a lot of income because you’re going to get sued in those two years. It doesn’t make sense if you’re somebody that’s got a lot of equity in their house because you’re going to get sued in those two years, but for somebody with minimal income, minimal assets, sometimes the right answer is to avail themselves of the limitations period. Doug Hoyes: So I’ve got some debts from two years ago, three years, four years ago let’s say and I wasn’t able to pay them. Perhaps I was laid off, perhaps I had a medical issue, something happened and I wasn’t able to pay them. I’m now back in the workforce and the collector has tracked me down and is saying hey, we want you to pay, what you’re saying is you should not automatically rush to pay them. You should first of all consider the implications of this limitation period. So how do I know if it’s been two years or not? Blair Mantin: Well, ideally, you’ve kept records so ideally you’ll know when the last payment has been but you have the right to demand from a creditor written proof of this obligation. You have the right to ask for account statements. Sometimes you have to pay, sometimes not. Morally, you may still feel as though you want to pay this debt back especially if you have the means. You borrowed the money and the vast majority, 90 percent of people that we deal with are honest but unfortunate folks that even though the debt statute barred, if they’re able to pay it, they will, but if you’re not able to pay it, you should at least be aware of whether the debt is still legally valid or not. Doug Hoyes: And in a lot of cases your credit report is going to show a last activity date too so I guess that would be good evidence. So the process then would be if a creditor sues me on a debt that let’s say I haven’t made any payments on in three years, they still can sue me. Anybody can sue, I can sue you because the sun is shining today I guess if I want. They sue you, you have to then go to court and your defense would be that the limitations period has expired, is that correct? Blair Mantin: Yes, your defense is very short. It’s irrefutable unless they can prove that the limitations period has not expired and there’s been some activity, then yeah, the lawsuit could not succeed. Doug Hoyes: And so good proof would be, well, here’s a copy of my credit report. It shows that the last activity was three years ago. Now, you said that you may still decide to pay the debt, you still owe the money which means it still appears on your credit report I guess. Doug Hoyes: And how long is a debt going to appear on your credit report for? Blair Mantin: Normally, it’s six years from when it’s written off. Doug Hoyes: So if I had a debt from three years ago, and if a credit decides to sue me, then I can go to court and say hey Judge, it’s been more than two years. Here’s proof, here’s my credit report. Here’s my accounting records or whatever. The judge throws the case out. They can’t get a judgement against you but there is still a note on your credit report that’s going to be there, for in my example, another three years after that, six years in total saying that you didn’t pay this debt which obviously has a negative impact on your credit report. So that would be an example of an old debt where you may still decide to deal with it in some way. Blair Mantin: Yeah, exactly, if your credit report is going to be important to you, then yeah, this is probably not the right strategy but the folks that I’ve seen that this has been the lifesaver, have been the old senior citizens who just know their credit report is not really going to help them again in the future and they just don’t have the means to even afford the cost of a very small proposal. Doug Hoyes: Yeah, but I think that’s kind of the key. If you’re already retired, you’re 70 years old, you’re 80 years old you’re never going to have employment income again anyways and perhaps you don’t have any assets or very limited assets, there’s not a whole lot of risk. Nobody can garnish your wages, nobody can seize your house if you don’t have one, does it really make sense to try to come up with the money that you don’t have to pay these people, does it really make sense to do a bankruptcy or proposal, maybe not. It may just be better to say you know what, I know you can’t take action against me. I always recommend to people it’s a good idea to open a bank account somewhere other than where you owed the money because if they tracked you down, then even though legally we can debate whether they can do it or not, it’s not that hard for Bank ABC to take money out of your account if you owe them. But in those specific cases, it’s a good idea to know what the limitation period is. And let’s face it, in a lot of cases, you may decide okay, I’m going to make a deal with this guy because I know I owe the money and I can’t afford to pay him the $5,000 which is now $10,000 with interest but I have a saved up a couple of thousand, maybe that’s a case where you decide to settle with him directly. You gotta make sure you get all your paperwork done correctly and make sure you have proof that that’s full and final settlement but in a lot of cases, creditors are going to take that deal because they can’t get anything else anyway and I guess that kind of loops back to our discussion about debt settlements earlier. That might be a case where a debt settlement makes sense although probably that’s something you can negotiate yourself. You don’t have to pay a huge amount of fees. So when you’re meeting with someone, you’re always going to ask them okay, how old are these debts that we’re talking about because there are other options. Blair Mantin: Yeah, the majority of folks that I deal with, they’re moving money around each month from one credit card to the next so the debts are generally pretty recent so in most cases, yeah, the idea of even waiting two years is not going to be too palatable and again, if they’re earning money or have assets, it doesn’t make sense. But in some cases, I meet with folks and they’re still trying to get things in order, they’ve got a lot of old debt that they didn’t even know about and they pull their credit report and all the last dates of activities are all quite old so it’s just part of explaining to everybody all of their options which you don’t really find in other professionals that you might deal with in the financial community. So if you go to see a debt settlement, are they going to tell you about the limitations period, hopefully. Maybe not. If you go to see a credit counselor, are they going to tell you, hopefully but maybe not. If you see a trustee, we’re obligated to tell you everything, the full spectrum of all of your options which includes what happens if you did nothing and invoked the limitation period. Doug Hoyes: And obviously all trustees aren’t perfect either so that’s one of the reasons we’re doing this show to provide information to people that maybe you didn’t know about, and let’s face it, nobody has any incentive to publicize the fact that there is this limitation period which is two years both in British Columbia and in Ontario. And in a lot of cases, it’s just okay, I can pay this debt back but I need a few more months and since I know it’s already past the two years I don’t have to be in a panic, even though the phone is still ringing because they’re turned it over to a new collection agency. I don’t have to be in a panic about it today. I can wait, get my affairs in order and then deal with it. So there’s always options. Well, that’s great. That’s very good advice. Thank you very much, Blair, for being here. 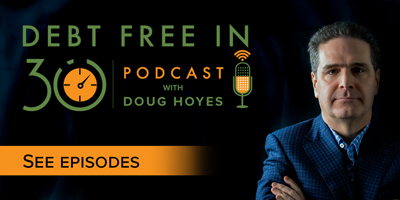 Doug Hoyes: That was the bonus podcast only section of Debt Free in 30. Thanks for listening.